Although you can't run a successful establishment without your team, you also need to be aware of the ways in which labor costs affect your overall goals, especially in terms of your bottom line. Not hitting your targets? Looking to your management team and wondering where things are going wrong? Is your management team strong, yet your weekly projections are falling short? You need to ask yourself; do they have the tools and resources available in order to hit their labor goals? By implementing the following steps, you can effectively boost profits. Labor costs can easily be tweaked based on effective planning, a strong course of action, and by taking the time to review and adjust results. When you develop the skills required to effectively plan, you can better predict potential outcomes. Without effective planning, you're simply ignoring valuable information that is essentially at your fingertips. If you want to know how your restaurant is doing, you have to crunch the numbers. Keeping organized records will help you look back on your establishment's history, reviewing what hindered productivity in the past and what encouraged growth. When you keep solid records, you can essentially create an annual plan. If you're thinking, whoa, whoa, whoa, I can't even think about two weeks from now, it's not as overwhelming as it seems. In fact, when you take the time to plan ahead, you will find that each week runs that much smoother. In reality, you could save a lot of time and money by focusing on an annual operating plan, along with a set budget and more thoughtful scheduling. Once you have a plan, you can then break that larger plan down into sections, yielding weekly, even daily revenue goals based on hourly labor. Without looking at daily reports, time of day and hours worked, you could potentially be overstaffing, cutting into your bottom line. 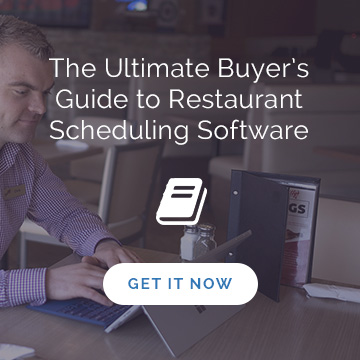 See Also: Excel, POS, or Online: Which Scheduling Solution is the Best For Your Restaurant? Once you have a plan, it will be time to take action. Having access to data that reflects your labor costs and overall profits, allows you to better execute a course of action. The key is finding the balance between quality and profit. You will need to keep track of when employees start and when they finish. That way, you can go back and see who was working and when. When you align clocked hours with daily sales reports, you will be able to compare your projections in terms of your actual results. Meaning, while focusing on these key comparisons, you will be able to see if employees are starting too early or being cut too late. Some managers have a tendency to overstaff, just in case. Cringe. The problem is, if extra employees end up punching in without the sales to back it up, profitability dips automatically. When you better understand what triggers the need for extra bodies on the floor, such as large parties and special events, you can schedule more effectively. One item that will help provide guidance for your team when you’re not there is a labor guide. If you’re not using one and don’t have one here’s a free template. This guide should be used by your management team daily to help them understand how you want your labor plan executed upon for that day. It’s their playbook for success. Have they been debriefed regarding the importance of their role and the decisions they make? In terms of employees, if there's a lack of training, you will not only lose out in terms of productivity but also in terms of customer satisfaction. If you think that you can't afford training time, the reality is, you cannot afford not to implement effective training strategies. Although it's easy to become distracted by short-term costs, the extra time and cash flow in which you put in now, can dramatically improve your long-term goals. At the end of the day, good help can be hard to find. The problem is, poor hiring decisions can cost you. You should always be on the look for and hiring top talent. It’s no secret the restaurant industry has high turnover. But if you can get in a good habit of consistently hiring and nurturing top talent, you’ll create an attractive environment for your staff, and the guest experience will thrive. Once you have fully planned and taken action, the next step is critical in terms of your long-term success. You must follow-up regarding the steps you took in order to improve labor costs. When creating your plan, what were your projections? After you made changes, it's time to compare the actual figures and re-crunch numbers. Using this template, you can keep track and compare projected sales and labor costs with your actual sales and accompanying labor costs. Still not where you'd like to be after reviewing your new data? It may be time to take a look of your management team and overall staff. Who is most effective and who is leaving more to be desired? Are managers implementing the suggestions that have been made thus far? For the last step, everything you have learned can now be implemented into your plan. Your initial plan will need to tweaked, based on what you discovered. 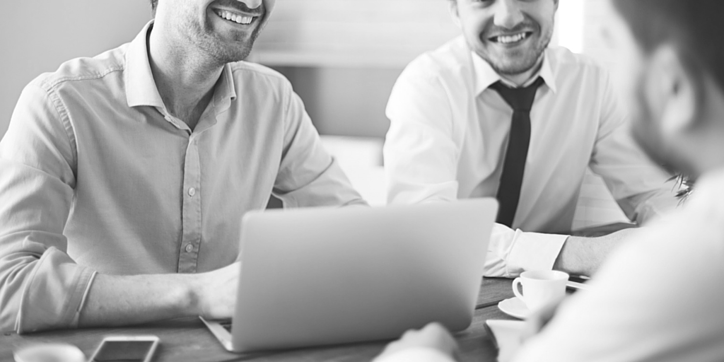 After you have reviewed areas that can be improved further, it's time to communicate with your management team. This is when you'll openly discuss results, ensuring a more pro-active approach moving forward. If you leave your management team in the dark, how can they improve? Key adjustments will need to be made, enforcing positive change. Whether that means cutting a body on the floor for Monday and Tuesday shifts or reducing part-time hours, your management team will need to be aware of these solutions. It will be important to check-in on a weekly basis, solidifying the changes you'd like to make. If you're not consistent, then your efforts will not be as effective as they could be. Hold weekly management meetings, reviewing your restaurant's manager log book. Don't have a manager log book? No worries, here's your free template. Once again, this will help increase awareness so that you can continually make changes that will ensure you hit your targets. In turn, you'll build a historical database regarding the daily operations of your business. At the end of the day, you're looking to increase your bottom line. If you take the right steps, this can easily be achieved. 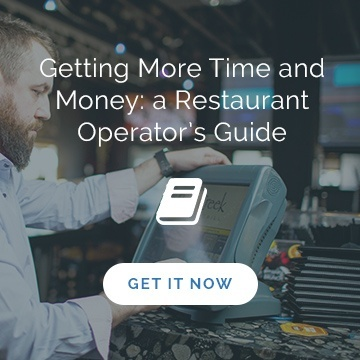 You no longer need to sit by, scratching your head, wondering why your busy restaurant isn't turning a higher profit. Ensuring that your management team is consistently hitting their labor goals can significantly impact productivity and in turn, profits.